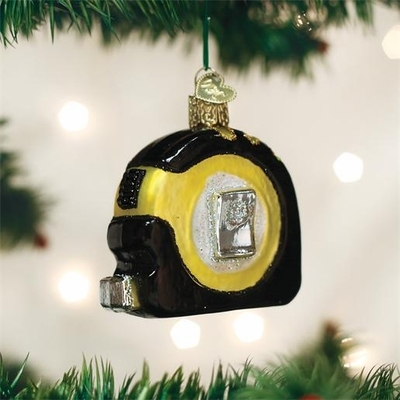 Home > Old World Christmas - Traditional Glass Christmas Ornaments > Old World Christmas Glass Ornament - "Tape Measure"
Many wise carpenters have cautioned, Measure twice. Cut once. One of the most basic tools, a tape measure can wind feet of measuring tape into a small container making it practical and versatile. Tape measures have been traced back as far as the Roman Empire.